Orange County real estate is known for its rolling landscapes and spectacular views of the Blue Ridge Mountains – yet it’s diversified economy has made it an increasingly popular area for individuals, families and businesses. 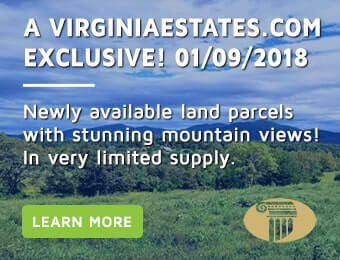 Virginia Estates employs local Realtors that specialize in guiding you step-by-step through the process of finding and purchasing the ideal Orange County property. Orange County, Virginia offers a variety of home choices. Many are attracted to the towns of Orange and Gordonsville which feature great family-oriented neighborhoods, a short drive from shopping and entertainment opportunities. Others prefer to live in the rural areas affording them large private properties with beautiful views and fresh air. The areas in and around Orange County offer some of the finest vineyards and wineries in Virginia. Just a few miles away, Barboursville area features many excellent local wineries as well as the Four County Players, the award-winning dramatic troupe. And for those given to Sunday drives, it’s only a brief half-hour drive down scenic country roads to Charlottesville!